The Blue Hour is an incredible time for photography, but it is often less well-known than its flashy, warm precursor, the Golden Hour. The Blue Hour is that magical time of night when the sky turns a deep, dark blue that is captured beautifully by camera sensors. It has great potential for creating stand-out shots, especially of subjects like lit cities, glowing carnival lights, and light paintings. This post will explain the basics of the Blue Hour and how best to capture incredible Blue Hour shots. Blue hour is also the weekly topic for the Boost Your Photography: 52 Weeks Challenge. 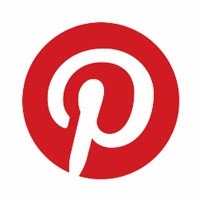 Consider joining the BYP 52 Weeks Google+ Community to share your weekly photograph and see what others are capturing. Many of the same tips for Better Sunrises and Sunsets are also applicable to shooting during the Blue Hour, especially knowing when and where to shoot, creating foreground interest, and nailing the exposure. Think about bringing and using a tripod when shooting during the Blue Hour, as the fading light will have you wanting longer shutter speeds (read more about How to Maximize Your Tripod or a review of the GorillaPod line of travel tripods). 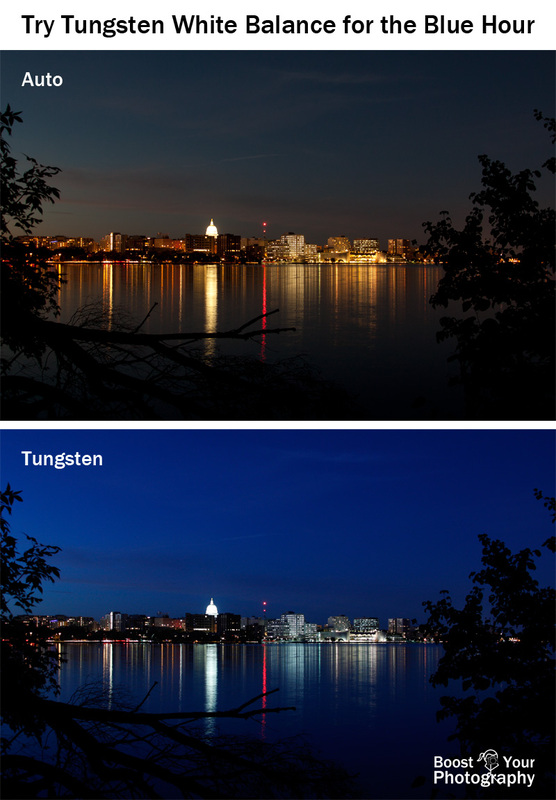 If you shoot in JPEG, you may want to adjust your white balance to "tungsten" when shooting during the Blue Hour, especially if you are shooting a city or other bright lights at night. Tungsten will deepen and accentuate the blue elements, often making for a more dramatic shot. If you shoot in RAW, you have the ability to choose Tungsten later in post-processing. Keep an eye on your LCD and histogram when shooting during the Blue Hour, as the light will be changing rapidly. (See Demystifying the Histogram for more details on using your histogram.) One great strategy is to shoot bracketed shots using exposure compensation, which is available on most DSLR cameras. This allows you to shoot a series of photographs at varying exposure values, such as -1, 0, and 1, which is a good interval to use. Comparing the three photographs above on the right, you can see how the underexposed shot (-1) brings out a deeper blue color in the sky when compared to the normally exposed (0) and overexposed (+1) images. This series was taken very early at the start of the Blue Hour, which is why the blue color is not as pronounced. The left-hand series of three exposures was taken 15 minutes later, when the Blue Hour was in full swing. The deep blue skies are much more apparent across all three exposures. If you like the deeper, darker color, you might still prefer the underexposed version, but you might also find yourself drawn to the cheerier lighter blues of the normally exposed or overexposed versions too. This is the benefit of shooting bracketed shots: you can choose your favorites after the event, and you can always change your mind. As the Blue Hour rolls to an end and the sky becomes black, you might find that only the overexposed version retains any of the blue color. Lights and Light Painting. Playing with lights is a particularly fun way to use the Blue Hour. 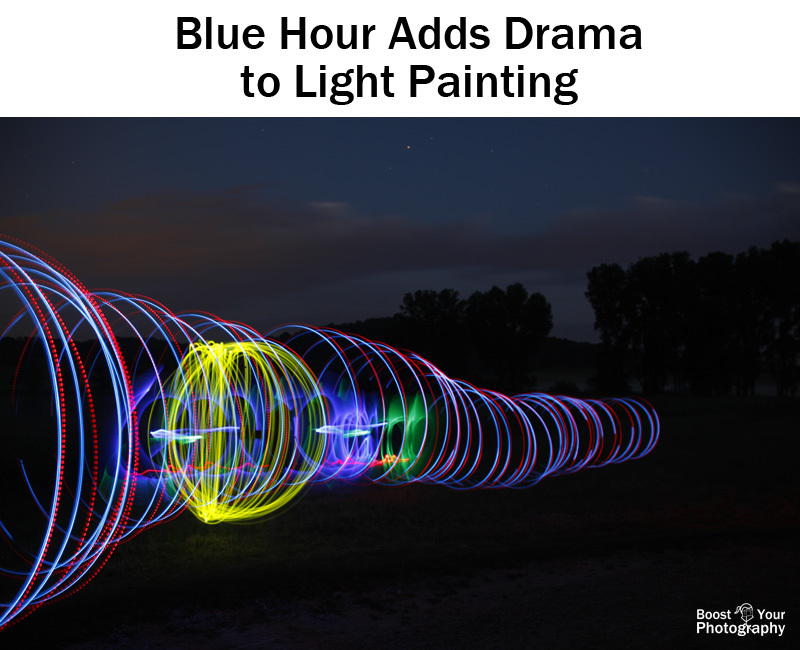 You can use a flashlight to "paint" color or brightness onto a subject, or you can write, paint, draw or swirl with lights to create intricate patterns and designs. All of them are complemented by the blue tones of the Blue Hour. Read Light Painting: How to Spin an Orb for more specifics. Fairs, Festivals, and Carnivals. 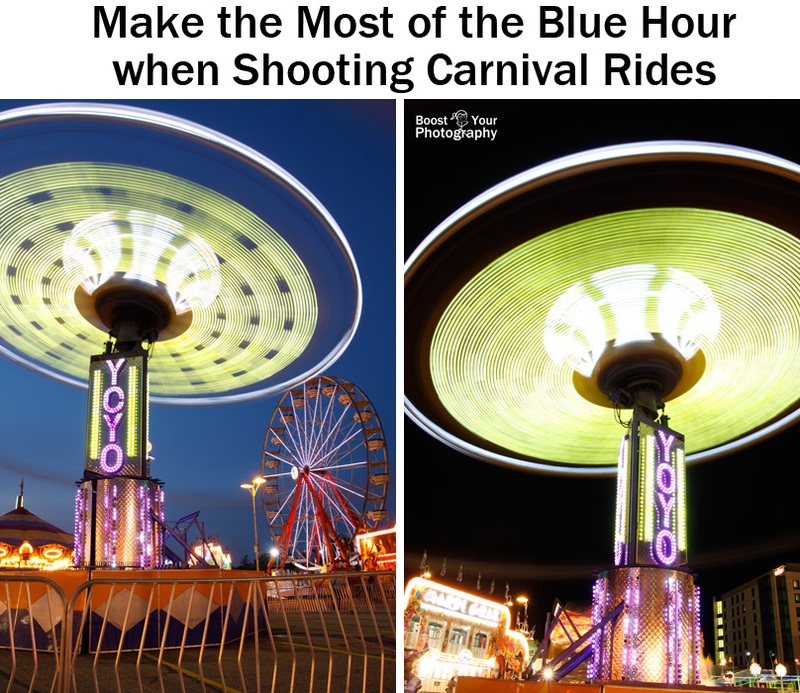 Anywhere with bright carnival rides is a great location for Blue Hour photography. After the sun sets and the blue hues come out, you can capture incredible long exposure shots using your camera, tripod, and remote shutter release. Vary your shutter speed, angle, and timing to create a wide variety of photographs. 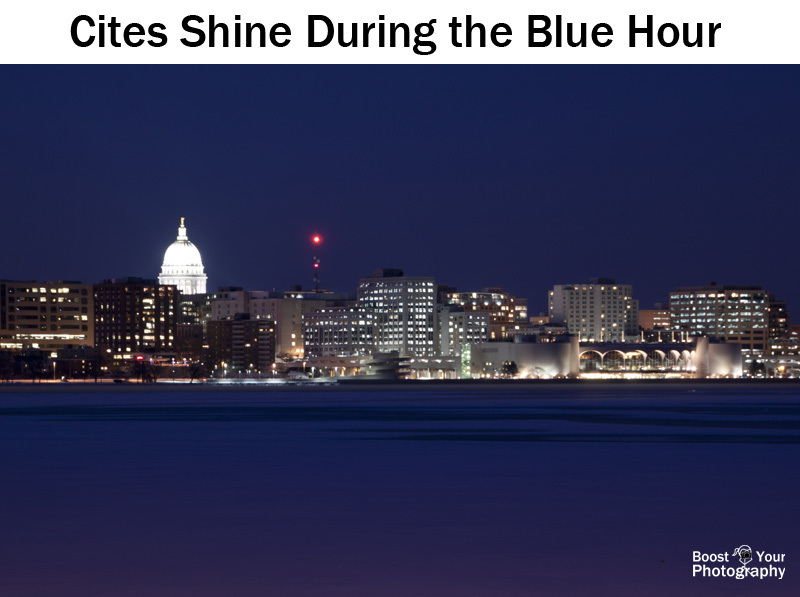 The photographs above show the difference between shooting during the Blue Hour and shooting after. The second shot was taken about a half-an-hour after the first. The blue color really adds to the brightness and drama compared to the black. Sparklers, Fireworks, and Steel Wool. 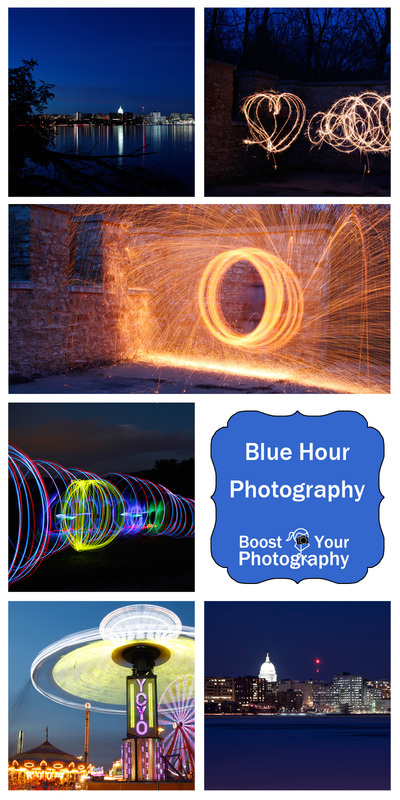 You can also create amazing Blue Hour photographs with sparklers, fireworks, or steel wool. Again, the bright lights look even more amazing against a blue backdrop. Sadly, not all communities schedule the timing of their fireworks displays around the precise Blue Hour (how thoughtless! ), but you can choose the time if you are using sparklers or steel wool. Read more about Spinning Fire and Steel Wool Photography and/or Quick Tips for Better Fireworks Photographs for more details. The Blue Hour is a fascinating photographic time of night (or morning) and one worth exploring. Think about the kinds of subjects that might work well for a Blue Hour shot and get out there and make it happen! Share your photographs in the comments below, or consider joining the BYP 52 Weeks Google+ Community to share your weekly photograph and see what others are capturing.